Year birding isn’t the same as every day birding. It can be but in general, if you want to maximize your year list, you have to think long term and use your time wisely. If a rarity appears, you might need to chase it. If you get a chance, a window of birding time to look for winter ducks, this might be your golden opportunity. Pass up the chances and you are less likely to reach your goal because that day scheduled for a bobwhite, booby, or Black-throated Blue Warbler might be too windy or rained out. You might suffer some accident between now and then or there might be a family emergency that pushes birding right out of the picture. Picking the best one first, we were very pleased to get this species for the year! It’s not easy and would have required a trip to Guanacaste likely accompanied by frustrating times as we listened for it in vain. Luckily, our year tick (and lifer for Mary!) happened while looking for shorebirds at night around Punta Morales (don’t ask). After having pretty much given up on the potoo responding to playback, a chance drive down a dike road to look for Boat-billed Herons brought us straight to the nocturnal prize. It was perched up on a lone post, looking all the while like some sculpture of a weird bird. This year bird gift was right in front of us and gave us walk away views. 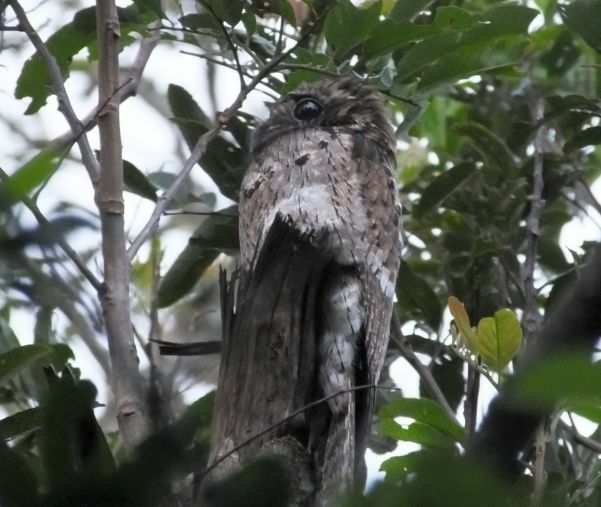 No Boat-billed Heron on that night but we’ll take Northern Potoo for 2019! 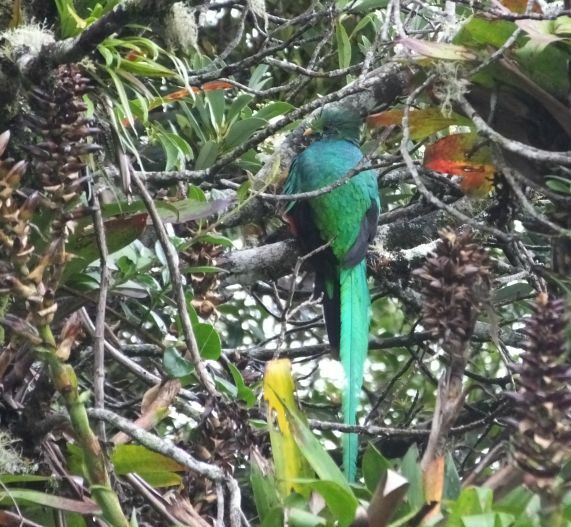 What year in Costa Rica could ever be right without adding this star bird during the first few months? We got a pair up on Poas and hope to see more at other high elevation sites over the next several months. It was good to likewise add this rare bird early in the game. I know a good site for it but who knows how long they will be there? Point blank looks at several of this local seedeater were some of the highlights during a long, fine day of birding. The Jaco area also yielded Yellow-crowned Tyrannulet, Baird’s Trogon, and a bunch of other cool birds. 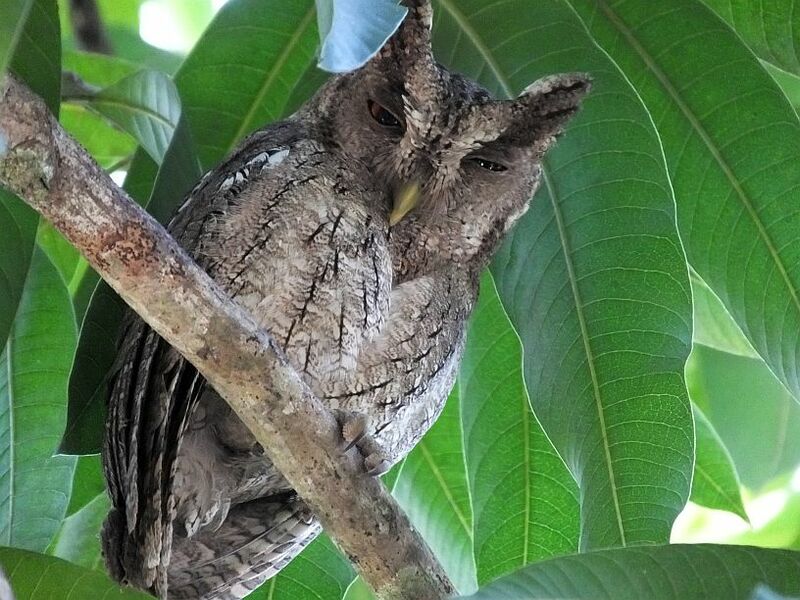 Although we only saw one of these nocturnal predators, we still heard and counted several Crested, Mottled, Black-and-White, Spectacled, Tropical Screech, and Pacific Screech-Owls during some pre-dawn owling near Jaco! Closer to home, it was satisfying to get both ground-sparrows at the same time. Although we will likely see them again in 2019, the endemic and endangered Cabanis’s Ground-Sparrow is always a treat. 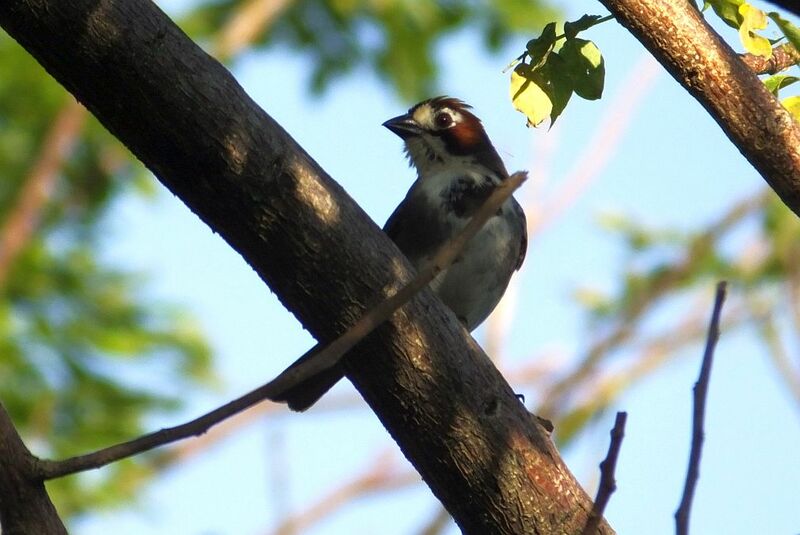 The White-eared doesn’t look too shabby either.